Christmas Eve is here and it’s time for my traditional ornamental signoff. I’ll be back in a couple of days, but in the meantime I hope everyone has a nice Christmas, full of friends and family and food that your doctor wouldn’t approve of. And be sure to check in tomorrow for our first annual holiday cat extravaganza. 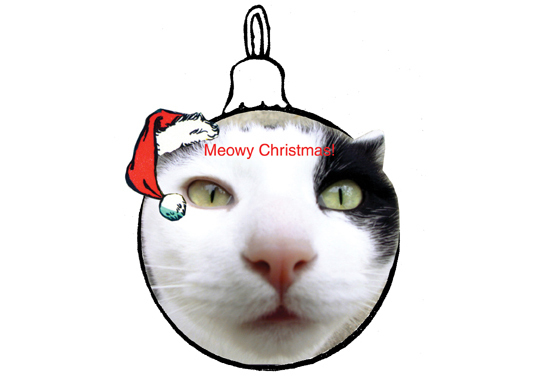 A couple of dozen festive felines will be gracing the blog, all intent on making your day merrier. You don’t want to miss that, do you?